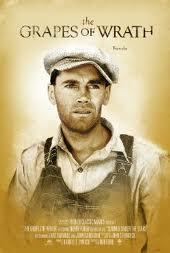 In John Steinbeck’s The Grapes of Wrath, the plight of the Okies is depicted through the fictional Joad family. Although John Steinbeck’s novel The Grapes of Wrath shows an accurate picture of the Dust Bowl and its effects on the population of Oklahoma, the novel also offers a historical perspective of life in California at the time. Have the writers at Paper Masters custom write research on the literary giant, John Steinbeck, or any of his novels such as The Grapes of Wrath. The mass influx of displaced Midwesterners into California was perhaps the largest influence on the events of California in the late 1930s. And Steinbeck’s novel showed how hatred and prejudice were a major component of history at that time. In addition, the novel captures the life of a typical displaced family as well as the life of a typical Hooverville. As a result, the novel can certainly be classified as historical fiction that captures life in California in the late 1930s. The first major incident is the death of Grampa Joad, riding in the back of the truck. The truck represents a symbolic journey, a break with the past is happening. Grandpa represents the part of the old way of life that dies when these people emigrate. Their trip is dictated by how far the truck can travel in a day. In his descriptive chapters between the Joad narrative, Steinbeck comes to show these cars and trucks like modern caravans, successors to the Conestoga wagons that crossed the prairies a century before. “Eyes watched the tires, ears listened to the clattering motors, and minds struggled with oil, gasoline, with the thinning rubber between air and road”. The Okies are bound together along the highway by a similar experience: driven from home in search of a better life. Their cars become lifelines, the basis for their migrant lifestyle and the single most important object in their existences. John Steinbeck’s novel The Grapes of Wrath has become famous for capturing the plight of the midwestern farmers displaced by the Dust Bowl of the late 1930s. In the period between 1935 and 1940, over one million residents of Oklahoma, Texas, Missouri, and Arkansas fled this Dust Bowl and headed west along Route 66 to California where they hoped to restart their lives. And just as the novel captures the plight of these farmers before their migration, the novel plays an equally important role in portraying the negative side of history in California at the time and how that negative history was primarily shaped by the mass influx of displaced farmers and their families. When the displaced families reached California, they expected to find ample work and a place were everyone had enough to eat. What they really found was an entirely different landscape. At the time, “farming became an industry” and the land owners “imported slaves, although they did not call them slaves: Chinese, Japanese, Mexicans, Filipinos”. All the while the farms got larger and the owners decreased to the point where the owners “no longer worked on the land. They farmed on paper”. Upon arrival, the displaced families “found only hatred”. They were labeled as Okies, which meant that they instantly became lower class in California. As Steinbeck notes, the land owners hated the Okies because they were hungry and seeking land, storekeepers hated them because they had no money to spend, bankers hated them because they could not make money from them, and the laborers hated them because they were willing to work for less money. As a result, California, the apparent land of opportunity for displaced families, turned its back on these homeless individuals. Novels by Steinbeck were reflective of what he experienced or witnessed in his own life; others were fictional accounts that merely reflected growing societal trends. Of Mice and Men Summary - George and Lennie are two migrant workers in California during the Great Depression in John Steinbeck's novel Of Mice and Men. Paper Masters writes custom research papers on Grapes of Wrath and examine John Steinbeck's Classic work of American Literature.